Both bodies, found separately on Sunday, were in an advanced state of decompotision, according to the Greek coast guard. The girl was estimated to be between four and six years old. Her body was found without a head. The woman’s age couldn’t be determined. Local media in Greece reported that the girl's body was believed to be that of a girl missing after a boat sank off the east of Lesbos last month in a shipwreck with 51 migrants on board. The coast guard did not confirm speculations. 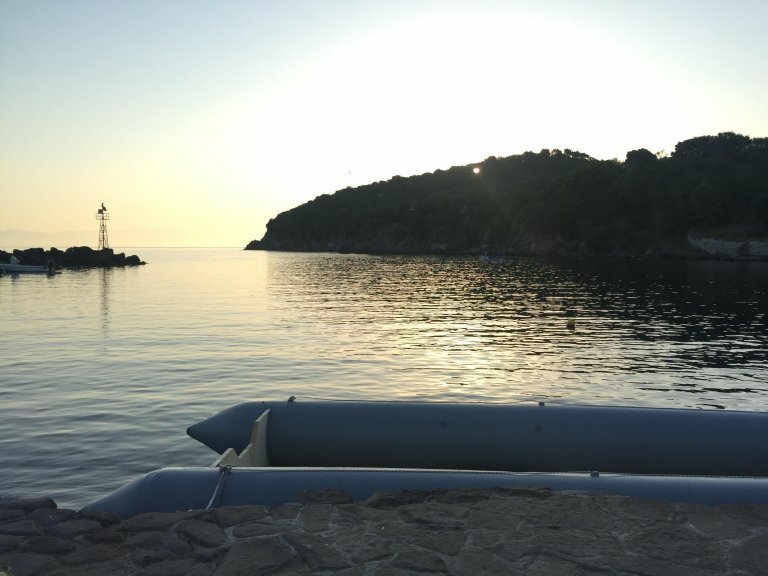 The child's body, found by locals on Lesbos's Vatera beach, is now at the hospital for an autopsy, AFP reports. On Thursday last week, a boat carrying migrants had sunk off the Greek island of Samos. Greek authorities said three people drowned, including two small boys. Nice others were rescued. More than 200 refugees and migrants have died so far this year trying to cross the Mediterranean, most headed towards Italy, according to the International Organization for Migration. 3600 people have crossed from the Turkish coast to the Greek islands. Last year, 174 people died along this route or went missing, accodring to UNHCR figures.